Book Name: "Public silence and private activity" or "I know what you did last summer"
Likewise, we have hardly written any articles for our website during the second half of last year. We would like to apologize to our readers for our apparent “public silence.” However, behind the scenes, we have indulged in a state of “private activity.” We have used the time to write our maiden book. It was written around the middle of last year which was summer in the northern temperate countries. The phrase “I know what you did last summer” was used as the title of a horror movie in 1997 with Jennifer Love Hewitt in the lead role. 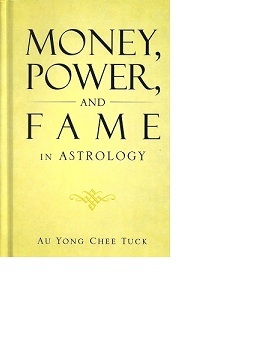 This book consisted of ten essays in an attempt to show how astrology helped or hindered famous persons in their careers and personal lives. In the course of our research, sometimes we have found cases that questioned the validity of certain theories of Chinese astrology. The first chapter dealt with the Latin American band leader, Xavier Cugat, who popularized the rhumba and cha-cha in the United States during the 1950s and 1960s. Although he married five wives during his life time, none of his wives gave him any children. This was both ironical and sad. He lived up to a ripe old age of 90 years. As he had divorced all his wives, he had no wife or children to look after him in his old age. So this raised the question, was one considered successful in life if he did not have any children? The next chapter examined the careers of two actresses. Both Anne Bancroft and Shirley MacLaine were trained as dancers from a young age but neither became professional dancers. In fact, throughout their long careers, they acted together only once. That movie was “The Turning Point”, released in 1977 when they danced opposite Mikhail Baryshnikov. But there were also similarities and differences in their birth charts. Both of these actresses were born on a wood day. Anne Bancroft was a weak wood person whereas Shirley MacLaine was a strong wood person. This caused them to become very different characters. Anne Bancroft was withdrawn and protective about her privacy. Her fans did not know even know that she had been suffering from uterine cancer until after her death. Shirley MacLaine was an outspoken person who eventually became too superstitious. She believed that she had been reincarnated. In her nine books which were meant to be biographical, she wrote more about UFOs and supernatural issues rather than about her biographical details. In the study of Chinese astrology, the wood element represented religious or spiritual matters. Since most religions taught their followers to practice kindness, wood was also said to represent kindness. The German leader, Adolf Hitler, was born in April which was the spring season. So he not only had wood in his birth chart, his wood element was at peak strength. Yet no historian would argue that Hitler was kind. How Hitler could be considered kind after he launched the Holocaust which killed over six million Jews, almost all of whom were civilians? The intriguing question was whether the astrology theory defective in some way? Or was there some other possible explanation? How do we account for the so called exception to the rule? Our next essay looked at the life of the paleoanthropologist Donald Carl Johansson. He wanted to study anthropology by the time he entered university but was initially persuaded to study chemistry instead because “chemists had a brighter future.” However, he found that he had no interest in chemistry and instead used to hang around the anthropology faculty. Finally, he gave in to the inevitable and switched to anthropology. Was it luck or human action on that fateful day that he discovered the fossils that he later named “Lucy”? He later wrote that he wanted to remain in his tent to classify the fossils that his team had found. But he felt an urge to venture into the field. His decision paid off because he made the find of his lifetime. If he had excavated at the same site a year or so earlier, the strata would not have been sufficiently exposed to reveal the fossils. If he had waited for another year or two to dig at the same site, the alluvial rains would have washed away the fossils. There are some astrologers who insisted that the birth chart must be complete with the birth hour before we can analyze the chart. This argument has some merit because if the hour is not known or uncertain, then some of the vital data is missing from the birth chart. However, we do not live in an ideal world. Instead, we sometimes encounter clients who do not know or are not certain about their birth hour. Should the astrologer turn the client away without trying to help just because the birth chart is incomplete? We have shown a perfect birth chart, complete with hour of birth, for the Shaffer twins. But one of the twins, Anthony Shaffer, died whereas the other twin, Peter Shaffer, survived. If the complete birth chart is so revealing, how did the astrologer explain why one twin survived while the other twin did not? This example showed that there are limits to human knowledge after all. Every time Sergio Leone finished making a movie, he said that it would be the last time he made a Western movie. He was a hive of activity during the filming; yet after the film was over and done with, he lacked confidence and was unsure of himself. If he had really done what he said, he would only have made one spaghetti Western, “A Fistful of Dollars” (“Per un pugno di dollari”) with Clint Eastwood in 1964. Instead, he went on to direct “For a Few Dollars More” (“Per qualche dollari in piu”) the following year with Clint Eastwood and Lee van Cleef. He completed the trilogy in 1966 with his final movie, “The Good, the Bad and the Ugly.” (“Il buono, Il brutto, Il cattivo.”) This movie had the famous triple showdown in the cemetery between Clint Eastwood, Eli Wallach and Lee van Cleef. Then he changed his mind about not making any more Westerns. In 1968, he directed “Once upon a time in the West” (“C’era una volt il West”). Finally, he could afford to hire the actors he so badly wanted, Henry Fonda and Charles Bronson. If this movie had been directed in Hollywood, Henry Fonda would have played the hero and Charles Bronson given the role of the villain. Instead, Sergio Leone reversed the roles and had Charles Bronson play the good guy who was seeking revenge against Henry Fonda, the bad guy. With typical Leone irony, he put the showdown at the beginning of the movie. The opening scenes showed three villains, played by Jack Elam, Woody Strode and an unaccredited actor, waiting at a desolate train station for the train that brought their victim, Charles Bronson. This movie has become regarded as a cult movie by Leone’s fans. He directed many movies before and after his quartet of spaghetti Westerns. Yet he is remembered outside Italy for only these four films. Why was this so despite spending his entire adult life time in the film making industry? Thomas Edward Lawrence was a shy person. He spent his happiest years working at an excavation site during an archaeological expedition in Syria. However, the outbreak of the First World War disrupted plans for any more excavations. But his knowledge of the area and his familiarity with the Arabs meant that British Intelligence wanted to recruit him. Lawrence was told to work with Emir Feisal and foster the Arab rebellion against the Turks. Lawrence hoped that the British government would keep its promises after the war to grant the Arabs autonomy in Syria. But the British did not want to antagonize their former allies, the French who wanted to retain their colonial interests in Syria. It was only three years later that the Arabs were given their independence in Syria. For Lawrence, it came too late; he was plagued by guilt and a sense of betrayal. He tried to forget and concentrate on writing his book, “Seven Pillars of Wisdom.” But he had become famous and the media would not let him fade into obscurity. Why did fame become a burden instead of an asset? Ho Chi Minh had to struggle for his entire lifetime to seek independence for his beloved country. During his young adulthood, he travelled much and even worked in France and the United States. It seemed ironical to him that the country which professed “Liberte, Egalite, Fratenite” could treat its poorer citizens in France no better than their colonial natives in Vietnam. After the Second World War had ended with the defeat of Japan, he asked the Truman administration to recognize his country and grant it independence from France. Although the Americans were against the idea of colonialism, they preferred not to antagonize their former war time allies and future NATO allies. The disappointed Ho then turned to China and the Soviet Union who readily agreed to provide aid. The Vietminh defeated the French garrison at Dien Bien Phu. During the final stages of this battle, the French appealed to the Americans for military assistance. The Truman administration decided not to intervene. Yet by not intervening in a smaller battle, the Americans had unknowingly committed themselves to a bigger war in Vietnam. They were alarmed when the Geneva Agreement partitioned Vietnam into North and South with provisions for elections in the future. They feared that Vietnam would turn Communist. Without any declaration of war by either side, the Vietnam War had broken out. It would last for the next ten years. Was it inevitable that the crossroads in history had to end in warfare? Carrie Fisher had a promising start when she was given the role of Princess Leia in the first “Star Wars” movie in 1977. By the time she made the next two movies, “The Empire Strikes Back” and “Return of the Jedi”, she had become addicted to drugs. It was a wonder how she managed she turned up on the set and perform her roles. After the third movie was made, she faded from the acting scene. She had to struggle with her addiction to drugs and her periods of rehabilitation. In the process, she wrote six books depicting her struggles and her triumphs. Some of these books were written under the guise of fiction probably because she found it too painful to write them as an autobiography. The books sold well enough to make her establish a second career as a writer. How did a jaded actress revive a second career as a writer? There were other actors who had more brilliant careers but succumbed to drugs at an even younger age. Two examples were Judy Garland and John Belushi. Although Carrie Fisher made fewer movies, she survived longer. What redeeming features made her become a survivor? Some masters of Chinese astrology argued that it was important to have both the fire and water elements in the birth chart in order to have potential for achievement in life. 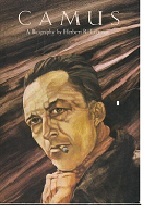 Albert Camus did not have a single spark of fire in his birth chart. Yet he became the second youngest person to win the Nobel Prize for Literature in 1957, beaten only by Rudyard Kipling. How did one explain the exception to the rule? Or was the so called rule flawed in the first place?